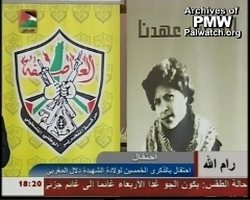 This week Palestinian Authority Chairman Mahmoud Abbas once again honored the memory of the terrorist Dalal Mughrabi - this time by sponsoring a ceremony celebrating the 50th anniversary of her birth. Mughrabi led the most lethal terror attack in Israel's history in 1978, when she and other terrorists hijacked a bus and killed 37 civilians. 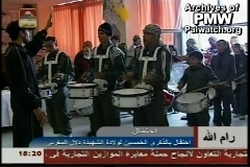 Present at the ceremony were Palestinian dignitaries and a children's marching band. Earlier this year, Abbas sponsored a computer center named after Mughrabi. The PA further glorified Mughrabi on the date of her birth when the Governor of Ramallah announced the naming of the "Dalal Mughrabi Square". An article by Fatah spokesman Jamal Nazal in the official PA daily defined the terrorist Mughrabi as "the heroine of Palestine's heroines." The Shahida (Martyr) Dalal Mughrabi." "Under the auspices of President Mahmoud Abbas, the Political and National Education Authority held a ceremony marking the 50th anniversary of the Shahida (Martyr) Dalal Mughrabi, commander of the Coastal Operation (i.e. 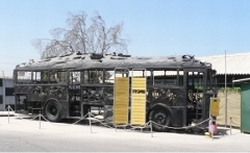 hijacking of bus and killing of 37 civilians)." These are not isolated examples of public glorification of terrorists in the PA. The PA has a strong tradition of using terrorists as role models -- especially for children -- by naming public places, facilities and events after them. Dalal Mughrabi, who is not known for anything other than her murderous terror attack, is one of the prominent examples of a terrorist who is promoted as a worthy and desirable role model. "Yesterday the Hebron Building Committee inaugurated a computer center named after the Shahida (Martyr) Dalal Mughrabi. Present at the event were President Mahmoud Abbas's advisor for communications and information technology... The center, which was funded by a contribution from the President's Office..."
Yesterday, the Taffuh Association for Higher Education organized a ceremony in honor of the students who finished the general high school successfully… [The ceremony was held] under the auspices of the President Mahmoud Abbas, and named after Martyr (Shahida) Dalal Mughrabi… Samih Al-Sayfi, the commander of the region and the representative of the President, wished the successful students a brilliant future… and reviewed the heroic life of Martyr Dalal Mughrabi and the course of the struggle and sacrifice of the Fatah movement." "A summer camp in the name of the Shahida (Martyr) Dalal Mughrabi was opened... by the Fatah movement... out of honor and admiration for the Shahida (Martyr)..."
"The activities of the [summer] camp are organized with the support of the Palestinian Center for Dissemination of Democracy & Community Development... [with] teams which carry names with a national and historical significance, and names of Shahids... the camp activities are dedicated to the memory of two Shahids (Martyrs), Dalal Mughrabi and Azmi Saghir." "Islami Silwan Club wins the Dalal Mughrabi Championship for youth... [for children] born in 1996 - the Islami Silwan Club, won the Dalal Mughrabi Football Championship, organized by the Hilal Al-Quds Club, along with five teams from the different [sports] clubs of the Jerusalem region." "[The Governor of Ramallah] announced the naming of a square after the Shahida (Martyr) Dalal Mughrabi, adjacent to the headquarters of the Political and National Education Authority... in order to eternalize her memory." "We have in our midst the hero Khaled Abu-Usbah, hero of the operation [terror attack] led by the Shahida (Martyr) Dalal Mughrabi [applause from the audience]. We salute him and welcome him. And [we salute] the hero, the Shahida (Martyr) Dalal. [He shouts:] All the glory! All the glory! 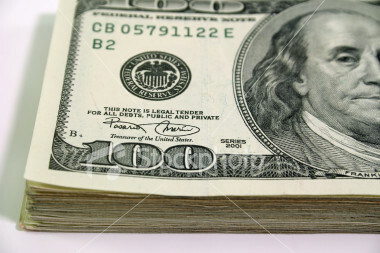 All the glory! All the sisters here are Dalal's sisters." Click here to view former PA Prime Minister honoring terrorist Dalal Mughrabi. "One of the most important and most prominent special actions, executed by the Palestinian revolution by sea, on the coast between Haifa and Tel Aviv. This action, carried out by a group of heroes and led by the heroic fighter Dalal Mughrabi." 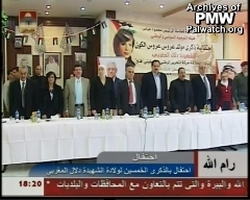 Click here to view PA TV honoring terrorist Dalal Mughrabi.